Today is international women's day. A day to appreciate the people who are special to you in your life who happen to be women. It is also a day to recognize women as professionals and just how far we have come as a society in so short of an amount of time when it comes to women achieving amazing things. The field of science is a good example of women doing great things. Science, especially paleontology, used to be heavily male-dominated. However, more and more women are making names for themselves in paleo and as time goes on, these numbers are only going to grow. When Gary and I go to events at museums and talk to children about dinosaurs, one would expect to see mostly little boys coming up to us to learn about dinosaurs. However, just as many dinosaur-obsessed little girls are present, as well, and it is wonderful. Check out future-paleontologist, Lacey, from Morristown's Dinosaur Day at our table in 2012, for instance! Also look at this amazing story about a little girl who took on a major shoe company for only selling dinosaur merchandise for boys! Awesome job! I must admit that although I think bringing attention to Women's Day is a great thing, at the same time I wish it didn't have to be a thing at all. When people see a female paleontologist, or any other profession that is typically male-dominated, they shouldn't have to make a point to mention that she is a female, as if it were some sort of rarity. Check out this interesting article about strong women in fiction to get an idea of what I mean with regards to a different subject. In a some ways, every day should really be like women's day. 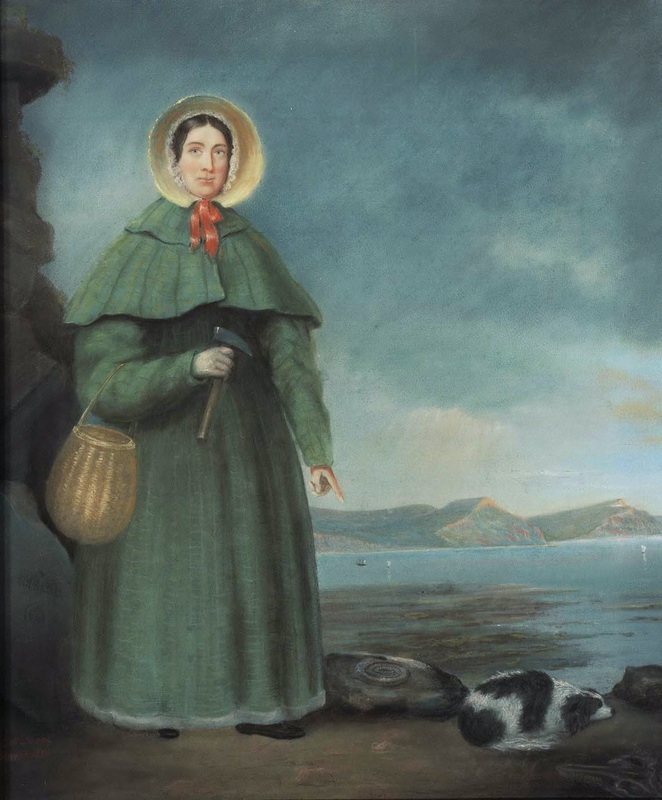 Painting of Mary Anning by B.J. Donne. Mary Anning was one of the best fossil hunters of her time...and she was a tween. That being said, if you want some good examples of females in the field of Paleontology or other related scientific fields, simply check out the links I provided for you below. I have interviewed and made friends with many great scientists over the years, many of whom happen to be women. Let's Publish Mammoth is Mopey!